Designed and manufactured in the UK, our customisable IP65 wash down-able touchscreen stainless steel or ABS PC's are fully upgradeable. Our stainless steel touchscreen PC's are built and serviced in the UK and are used in many food preparation and heavy industry companies. 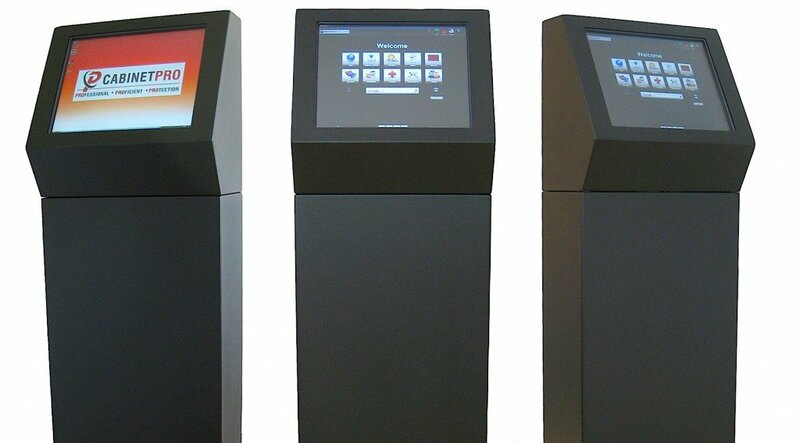 We design and build traditional kiosks from ABS plastic or steel made to resist abuse and vandalism. Ideal for anywhere with high risk public thoroughfare. Our vesa mount PCs are built using our own rugged galvanised steel cases. We can built to almost any specification. Unlike some cheap imports, our PC's are fully up-gradable and serviceable and designed to give many years service wherever they are used. 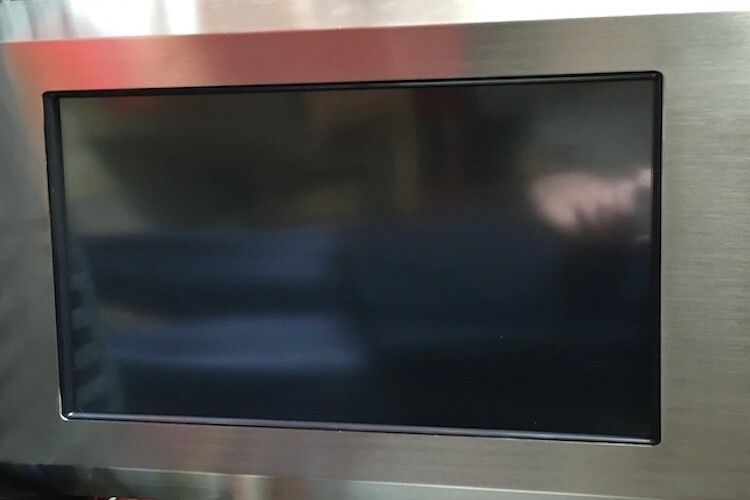 CabinetPro are a UK based company who specialise in the in-house design and hand building of rugged fully IP65 rated and washdown-able stainless steel industrial touchscreen PC’s. We also supply our own bespoke Panel PC’s, VESA mount PC’s and vandal resistant kiosks plus an accompanying range of accessories including rugged tablets, barcode scanners and large format digital signage monitors. All our PC’s are totally upgradable and serviceable by our skilled staff in the UK. We only use top quality brand name components resulting in supreme reliability and minimal downtime. In fact, we are so confident in our own PC’s that we offer the option of a free 3 year RTB warranty for customers who settle invoices early. Our shop floor range of rugged stainless steel PC’s are IP65 (NEMA 4) rated all round, not just the screen, so they can be hygienically washed down. Whats more, our monitors feature a thick invisible polyester coversheet over the tough screen meaning broken glass can in most cases be safely contained in the event of an accident. These qualities make them ideal for food preparation, pharmaceutical, assembly, catering or dusty and dirty environments. With over 10 years shop floor and IT experience combined with a real focus on customer satisfaction, you can trust us to provide everything you need for your next shop floor or factory PC upgrade at the best possible price. 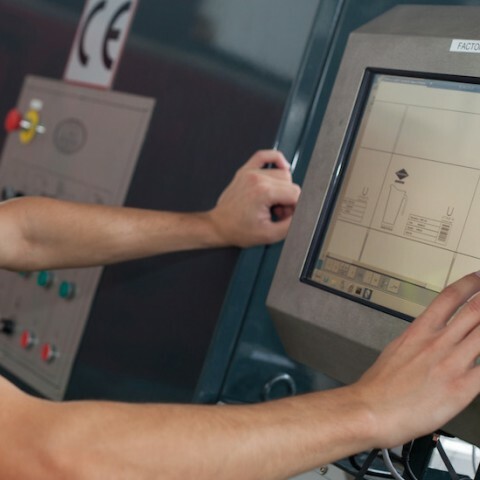 So, whether renewing existing equipment or installing a full range of hardware to integrate with your new ERP software, we have a one-stop-shop solution for you. Why not contact us now to see how we can help. Ok, for starters, rather than importing and re-badging cheap, potentially unreliable and sometimes throwaway equipment from the Far East, we take pride in building our own bespoke shop floor PC solutions here in the UK. Read more about us..
All our PC’s are designed, assembled and serviced in the UK and we work closely with our customers so that deadlines are met. Every one of our PC’s undergoes a 25 point checklist before leaving the workshop ensuring total reliability out of the box. We take the hard work out of sourcing compatible equipment. Our PC’s have been tested to work with modern ERP software. "We have been working with CabinetPro for some years now and have always found them to be very responsive to our requirements. Their hardware has proven to be extremely reliable especially in harsh food factory environments." "We have been dealing with Cabinet Pro for a number of years. Their build is of a high quality & their equipment survives the harshest of environments. The after care service that they also provide makes them an excellent company to work with"